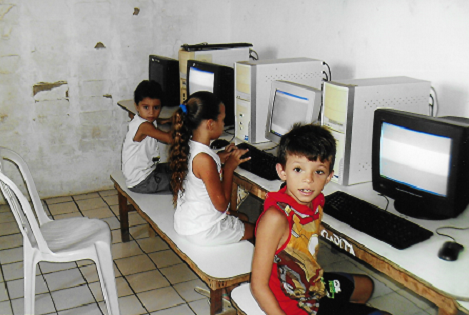 Our work in Fortaleza is located in the favela (slum) Morro da Vitoria, which is a socially segregated area of the city, consisting of very poor, overcrowded housing with people lacking basic facilities such as paved roads, street lighting, running water and reliable sanitation. Unplanned urbanisation has resulted in many families making their humble homes from whatever they can find at hand. Ill-health is widespread. State provided education is dismal and work for adults is hard to find and marginal. Families struggle and children suffer from malnutrition. In Brazil thousands of children die each year from starvation or nutritional related illnesses. People feel very much abandoned by the state and city. This is where the projects come in. 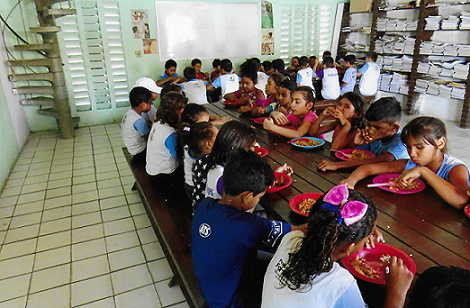 Each day we provide a daily nutritious meal for over 200 impoverished children, between the ages of 2 and 12 years old. 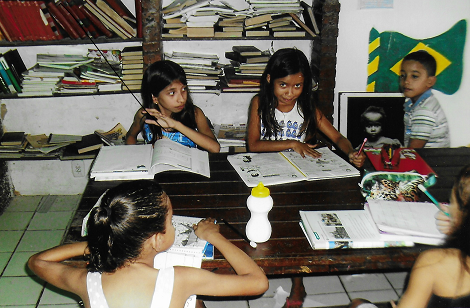 For most of them, it is the only meal they receive, as they are from the poorest families of the favela. Alongside the feeding project we run a school for 60 children, between the ages of 7 and 14 years old, from the same slum. 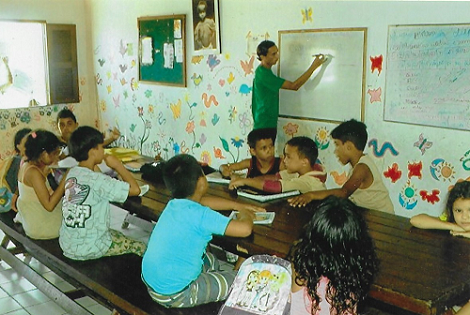 We are providing these children with a basic education, not provided to them by the State. Over 1,700 children have benefited from this so far. Children in Hunger runs a vocational training program for unemployed young people, teaching them skills such as jewellery making, silk screen printing and sewing. So far over 700 teenagers have benefited from this program, by learning a skill to enable them to find employment. These courses are for vulnerable and at risk teenagers, for whom we provide practical and realistic options to help them keep away from the criminal and anti-social potentialities of favela life. These courses generate self-esteem, and help develop skills enabling them to find future employment, giving them an income to help themselves and their families.